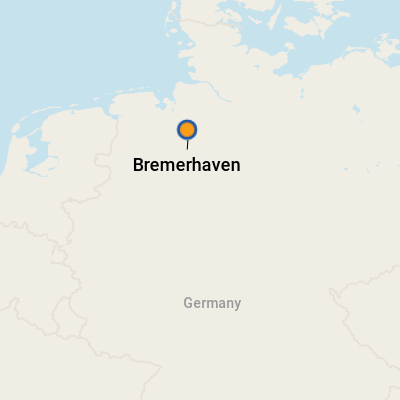 At first glance, Bremerhaven doesn't look like the world's most exciting port of call. Originally known as Wesermunde -- the seaport for nearby Bremen -- it was in the frontline of bombing raids during World War II, and nearly all its old buildings were obliterated. But, out of the ashes, a smart, modern city has emerged. Modern-day Bremerhaven (which received its new name just after the war, in 1947) offers some unexpected treasures like a pretty harbor and a long promenade that offers views across the River Weser to the mouth of the North Sea area. If you want historic buildings, you'd better head off to explore Bremen, about an hour's train ride away. Bremen is a lovely old Hanseatic League city, and it's well worth seeing for its museums, 11th-century cathedral and medieval old quarter, so tours there are popular. More than half of the passengers on our cruise opted for the day trip. But, stick around, and you'll find Bremerhaven has a charm of its own, as well as a rich history it celebrates in some excellent museums. Of these, the award-winning Deutsches Auswandererhaus (German Emigration Museum) is quite rightly the most famous. And, if you love the sea, this is very much the place for you because Bremerhaven likes to make the most of its maritime tradition. You can spend a day happily immersed in it, touring historic vessels at the harborside Maritime Museum, picking up nautical memorabilia at some of the quirky shops nearby, and even tucking into a lunch of freshly caught fish aboard a sailing ship dating from the turn of the 20th century. A note for cruise travelers: Bremerhaven is more of an off-the-beaten-path cruise port, especially for English-speaking travelers, and it makes the occasional appearance on Northern Europe itineraries. 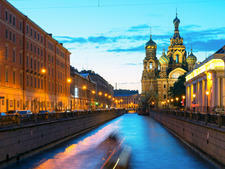 Mostly German lines -- including Hapag Lloyd, Transocean Tours and Phoenix Reisen -- call there between May and September. However, a few British lines, namely Fred. 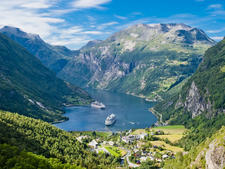 Olsen and Saga Cruises, visit in the late fall for pre-Christmas shopping cruises. The cruise terminal is roughly a 20-minute bus ride from downtown Bremerhaven and the Weser Dyke, a long waterfront promenade area where most of the city's main attractions are found. A bright, airy, two-level passenger terminal at the port features an excellent information desk staffed by English speakers. It also has clean and spacious restrooms, a shop that sells newspapers and some basic souvenirs, and a coffee bar. On the top floor, a well-equipped Internet cafe charges 5 euros per hour for online time. Uneven cobblestones around the harbor area are definitely a tripping hazard. We recommend that you wear sensible, flat shoes to tour the town. The port authority runs a bus that departs from right outside the cruise terminal to downtown. The 20-minute ride costs about 10 euros per person. If you prefer a cab, ask the staffmember at the cruise terminal's information desk to call you one. Once you get down to the Weser's banks, you can enjoy a refreshing stroll along the waterfront, with great views out to the North Sea. You'll also find all of Bremerhaven's main attractions within walking distance, as the harborside promenade runs in front of Columbusstrasse, where you'll find shops and restaurants in the Columbus Center mall. Take the bus back to the port, or ask the staff at the tourist office in town to call you a taxi. Bremerhaven has three railway stations, the most accessible being Hauptbahnhof, about a 10-minute walk from the Columbus Center. Choose between fast (40 minutes) and slow (one hour) trains to Bremen. There are also regional connections to Cuxhaven, Osnabruck and Hamburg. Because of the convenient rail service and difficulties with parking in Bremen and other destinations, most cruise travelers do not rent cars. 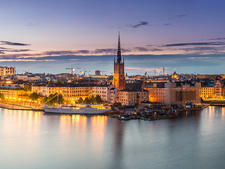 The currency is the euro; see www.oanda.com or www.xe.com for the latest conversion rates. You'll find ATM machines in the Columbus Center shopping mall. German is the official language. Some English is spoken, but a smattering of German will be a big help there, so consider bringing along a phrasebook. Northern Germany's great Hanseatic cities -- Bremen, Hamburg and Lubeck -- have a distinctive cuisine all their own. Look out for Braunkohl und Pinkel (cabbage and sausage). It's one of Bremen's best-known dishes -- also sometimes called Grunkohl und Pinkel, when kale is used instead of cabbage. Other goodies include Pinkelwurst (a smoked sausage made with pork, oats, barley, suet, onions and other spices) and Bremer Labskaus, which originated as a dish for sailors serving onboard 18th-century sailing ships. Originally made with salt beef (Pokelfleisch), which kept well on long sea voyages, modern variations may use corned beef and even include herrings. Here are some good eats in Bremerhaven. Fans of nautical memorabilia -- and particularly models of ships, both inside and outside bottles -- will find plenty for sale in Bremerhaven, either at the maritime museum or in one of the little shops around the harbor.